WELCOME TO PRIME LIFE MINISTRIES: What True Love Really Is. 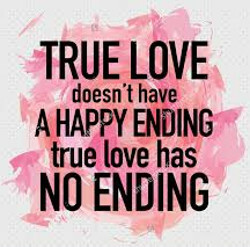 True love is as strong as death; it cannot be killed by time or disaster; and it cannot be bought for any price because it is freely given. True love is priceless and even the richest king cannot buy it. True love must be accepted as a Gift from God and then within the guidelines God provides. Accept the love of your spouse as God's gift, and strive to make your love a reflection of the perfect love that comes from God Himself.